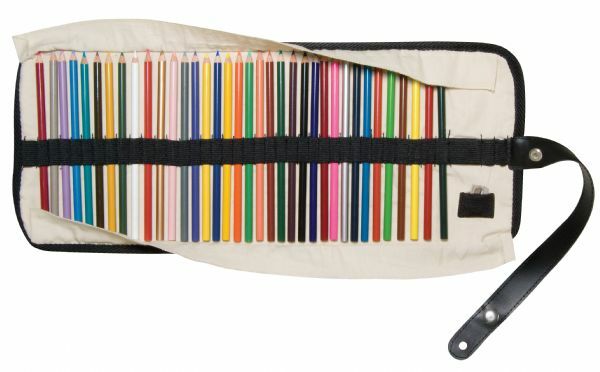 Durable washable canvas construction features upper and lower flaps to keep pencils in place and protect the tips. 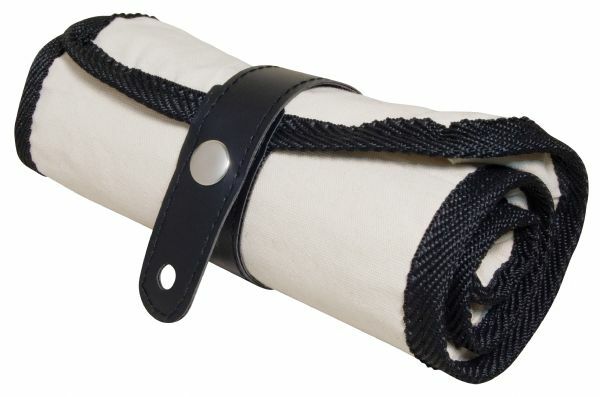 * Leather strap tie with secure snap closure. * Includes hand-held metal sharpener. The capacity is 36 pencils. 19.5" x 8" x 2"